So you’ve grabbed that elusive domain name, and even got yourself a web host that fits your needs. What’s the next step for your small to medium sized business (SME)? Not quite sure what it is? Here’s a quick, but comprehensive guide to hosted email and how it can benefit your business. A hosted email service runs emails servers on behalf of an organisation. If you own a domain and want an email service on that domain, you need an email hosting service. Most web hosting companies provide you with email hosting as standard. However, this is usually just POP3 email and the basics in spam/virus protection and additional features. This cannot compete with a dedicated email hosting service that provides premium email creation. If you are using an email hosting service provided by your web host, make sure that you are getting a high quality service that is worth paying for. If your web host does not provide email services, use this opportunity to analyse your business’s email needs, and find a provider who can match these and offer a bit extra to help you on your way. A well-managed email system can help revolutionise a business through facilitating successful email marketing campaigns and the ability to target segments of your mailing list. 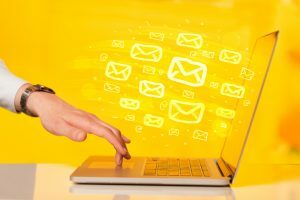 What are the key features of hosted email? Hosted email is an affordable service that eliminates the need for in-house servers and IT support to manage those servers. It gives you peace of mind and allows you to focus on the business while your email hosting provider manages your service. If you were using a free email service, you would not receive the high level of customer support that you do with a dedicated provider, so if something does go wrong you can sort it quickly with expert assistance. Having an email server that mirrors your domain delivers a much more professional image than a standard gmail or yahoo account. A dedicated email hosting service will also increase the security of your email communications — a benefit for any business. Hosted email is perfect for SMEs as it can cater to demanding users that require an email server that can handle high email traffic. Larger companies often manage their own servers in-house. We suggest taking advantage of free trials so you can truly test each hosted email provider and find one that best suits your needs. If you’re looking for a service that is dedicated to managing email for businesses and has a range of additional features, why not try Broadband Cloud Solutions’ premium hosted email service?